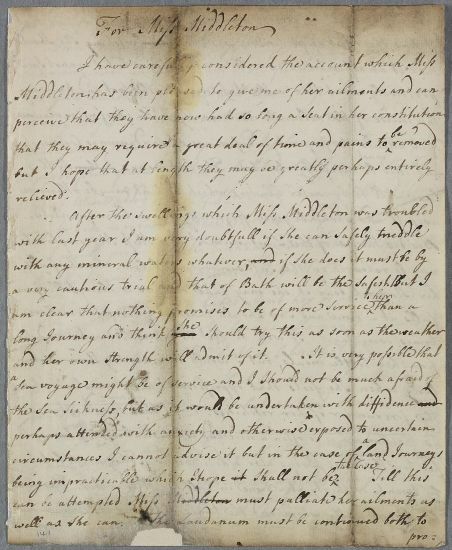 Reply, in the form of a retained authorial draft in Cullen's hand of revised directions for Miss Middleton, a dyspepsic patient. 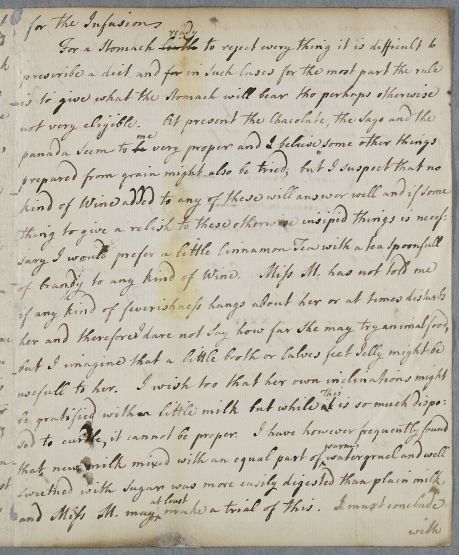 The scribal copy (dated 13 March 1772) entered into the casebook is [DOC ID:461]. 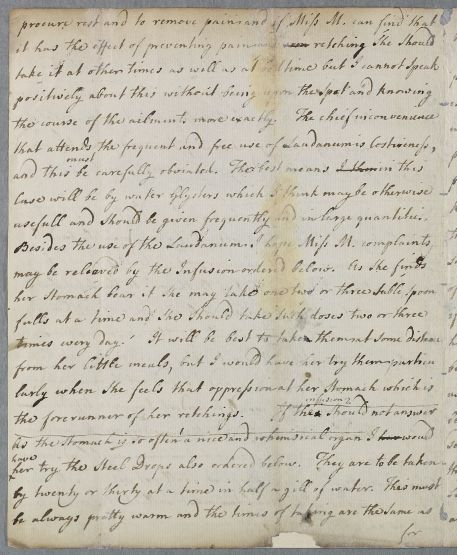 Summary Reply, in the form of a retained authorial draft in Cullen's hand of revised directions for Miss Middleton, a dyspepsic patient. 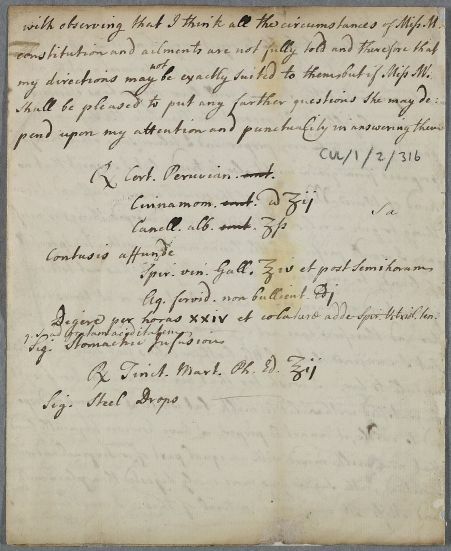 The scribal copy (dated 13 March 1772) entered into the casebook is [DOC ID:461]. with observing that I think all the circumstances of Miss M.
my directions may ↑not↑ be exactly suited to them but if Miss M.
Aq. fervid. non bullient. lbi. Digere per horas xxiv. et colatura adde Spir. Vitriol. ten. q. s. ad gratam aciditatem.